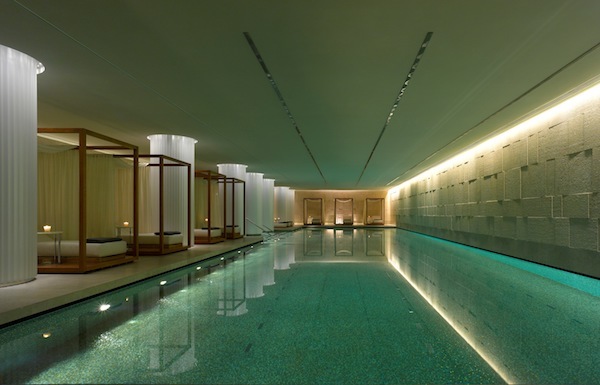 We visit The Bulgari Spa in London for a day of treatments: personal training session, a massage based on traditional Chinese medicine and a cryo-facial. 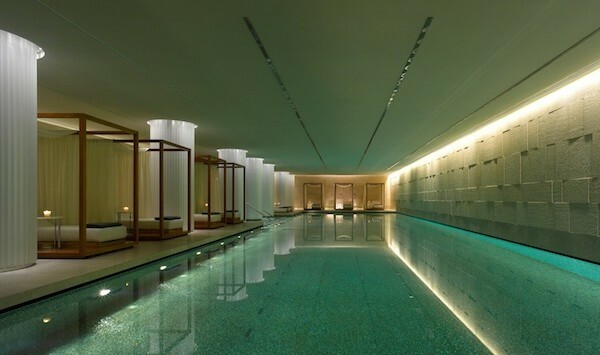 The Bulgari Spa (at The Bulgari Hotel) in Knightsbridge is as luxurious as you’ll find anywhere in the world. The 2000m² Bulgari Spa is split over two levels with 11 private treatment rooms and one double spa suite with its own steam room, jacuzzi and private treatment room. 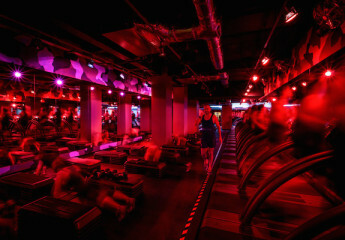 It also has a 150m² fitness area with personal training at the Workshop Gym. It is the pool area, however, that has the real wow factor. The 25m swimming pool is lined with shimmering green and gold mosaic and a smaller vitality pool is entirely covered by gold leaf tiles, which gives a warm glow to the space. I loved the poolside cabanas that are draped with white cotton sheets to give privacy. Each cabana has a full-length lounger and a call button if you want to order food or drinks. Upstairs you’ll find two separate fire-and-ice experiences (one for men; one for women), each with a traditional wooden sauna, white marble steam room, an ice chute, and two showers. The ethos behind the Bulgari Spa London is a holistic concept inspired by Asian and European traditions: every treatment combines massage and skincare techniques with the use of scientifically advanced products that use natural ingredients of the highest quality and purity. My day started with a personal training session at the Workshop gym before retreating to the pool to await my afternoon of treatments. Traditional Chinese Medicine was the focus to begin with, including a 2 hour treatment by TMC expert David Peters, who works exclusively at the Bulgari Spa in London. The treatment combines acupuncture with deep tissue massage and muscle movement – this isn’t your regular relaxing massage, but a treatment designed to alleviate muscle tension and improve mobility. Two hours later, after being pulled, pushed and realigned, with my body already feeling the benefits, it was time for me to look the part with a cryo rejuvenation facial. This involves a special cryo-wand that cools the skin to tighten the surface as well as penetrate the skin with a blend of ingredients to repair the damage caused by city living. The ‘wand’ is –15 degrees, but through a continuous movement, it doesn’t feel too cold! The spa is popular with men as it offers an excellent men’s grooming package that includes shaving and barbering alongside treatments for the face and body. 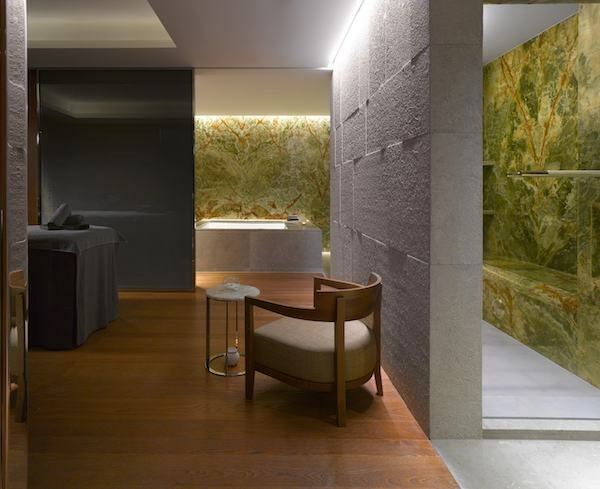 The Bulgari Spa is a serene, relaxing and utterly luxurious spa that will transport you far away from the streets of London to your own peaceful sanctuary. For further inspiration, read our guide to the best spas in London. including The Lanesborough Club and Spa.